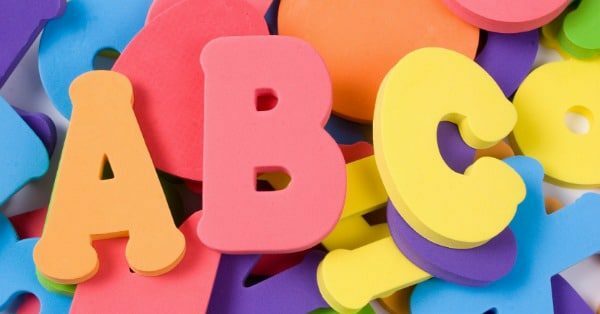 “Should I homeschool my ADHD child?” This post will help you determine if homeschooling your ADHD child is the right choice for your family. When your child has been diagnosed with ADHD, your entire world can change in an instant. Suddenly, you have to look at diet changes, tests, medications, and comorbidity with other disorders. Perhaps your child has been struggling in school for years and the diagnosis is a relief. Maybe you already homeschool and are struggling with homeschooling an active, and sometimes difficult, child. Whether you have just received an ADHD diagnosis or have known for years, the question occurs to every ADHD parent at some point: should I homeschool my ADHD child? 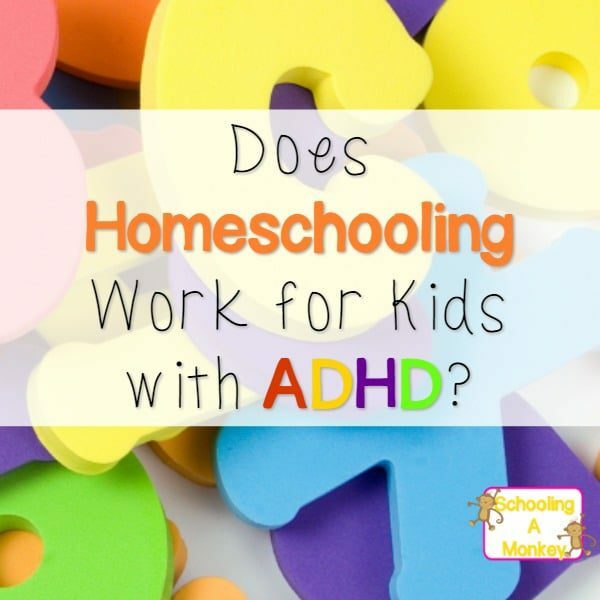 I can’t answer this question for every family, but as a person with ADHD myself teaching one (and probably two) children with ADHD, I believe homeschooling ADHD kids can be a viable choice. It may not be right for every family or right every year, but for some families, homeschooling your ADHD child is definitely the right choice. A child struggling in school might do better at home. Children with ADHD often struggle in a traditional school environment. I know without a doubt Monkey would have to work harder than her peers to stay at the top of the class. For some children, coming home and receiving one-on-one education without the pressure from a traditional school setting is just what they need to succeed. Homeschooling is the perfect platform for one-on-one learning. My daughter requires a huge amount of one-on-one time. She has trouble focusing and is easily distracted by the smallest things. When I am right there beside her, I can reign her in and help her focus on the task at hand. You can provide the hands-on movement and study a child with ADHD needs. Hands-on-learning is one of our favorite ways to learn together. If something can be taught through movement and hands-on tools, my daughter loves it. She is much less excited about traditional bookwork. Your ADHD child can set the pace of their education. Monkey is behind in some things and advanced in others. This is typical of children with ADHD who don’t like to focus on things that bore them. I hated science in school and learned almost nothing because of it. Monkey, on the other hand, knows more about animal science than most high schoolers. In a typical classroom, there is less room for individual study. Your child is free to pursue topics that are interesting to them. As mentioned above, Monkey love science. We’ve had her in middle school science for the past two years since the elementary science is just too easy for her. This would be harder to do in a typical classroom. Homeschooling can prevent some labels given to children with ADHD that may damage their self-esteem. Neither Monkey nor I were ever in a traditional classroom, so I’m not sure if we would have to attend special classes. But Monkey is incredibly sensitive to labels that others give her. If she was labeled or singled out because of her ADHD, she would be crushed. One of the reasons we homeschool is to avoid this sort of damage to her self-esteem. A child with ADHD can feel “normal” in a home setting. I don’t really know what “normal” is, since I am surrounded by people with ADHD. I don’t really know what it would be like to not have it or not have family members with it. In our house, having ADHD is normal. We embrace it. It is a part of who we are. In a classroom setting, the differences in how the ADHD brain works are more apparent, and I imagine it would make things a lot harder. I can think of two reasons why you shouldn’t homeschool a child with ADHD. If you cannot fully attend to your child’s school needs. If you cannot sit with your ADHD child and work with them hands-on for several hours a day, your child is probably better off with a teacher who can provide that hands-on time. I’ve found that my daughter excels when she is working one-on-one with me, but she struggles to do school on her own. You are not any less of a parent (or better of a parent, for that matter), if you chose to send your child to school. The most important thing is that children receive the best education they can. Sometimes that is at home, and sometimes that is in a more traditional classroom environment or special education class. If you are wondering “should I homeschool my ADHD child,” take a few weeks to consider the pros and cons before making a decision. Making the decision to homeschool is a huge choice and should definitely not be made lightly. 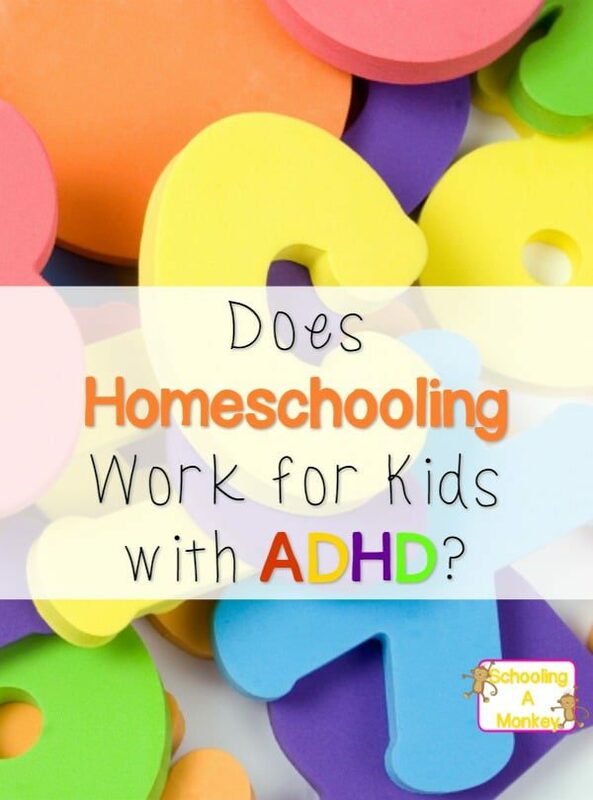 Read the other posts in the Homeschooling ADHD series here!